Reexamining the surviving plays of Aeschylus, Sophocles, Euripides, and Aristophanes, Graham Ley here discusses acting technique, scenery, the power and range of the chorus, the use of theatrical space, and parody in their plays. In addition to photos of scenes from Greek vases that document theatrical performance, this new edition includes notes on ancient mime and puppetry and how to read Greek playtexts as scripts, as well as an updated bibliography. 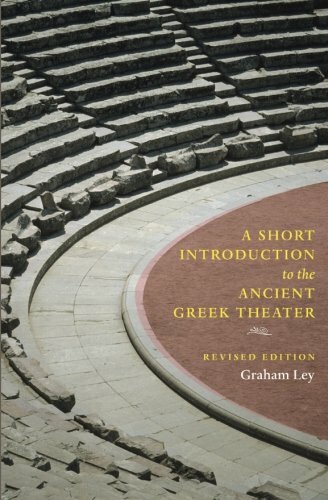 An ideal companion to The Complete Greek Tragedies, also published by the University of Chicago Press, LeyÃ¢ÂÂs work is a concise and informative introduction to one of the great periods of world drama. About: Contemporary productions on stage and film, and the development of theater studies, continue to draw new audiences to ancient Greek drama.